I know, I know - this is late. I am sorry. I have been very lazy. I always knew when Season 4 came back up, I would want to start my reviews again. But I just never got the momentum to do it. So, here I am, trying my best to start it up again with the episode that I just finished watching. 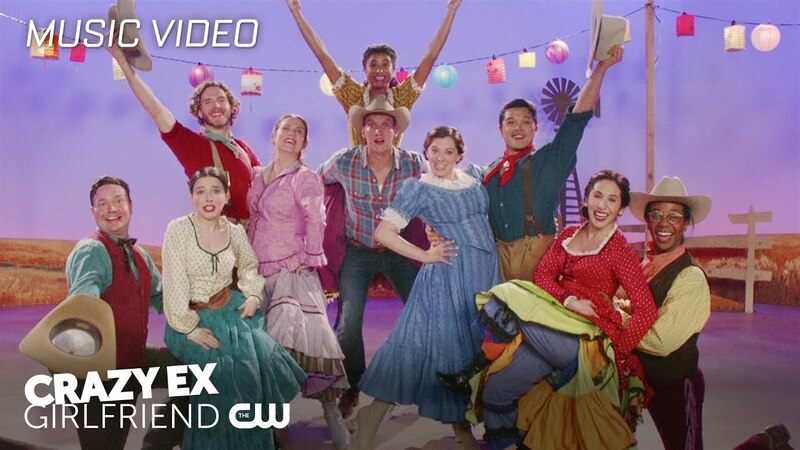 My general thoughts on Season 4 of Crazy Ex Girlfriend is that it has been pleasant. It is nice to see Rebecca Bunch face a new issue each episode and address it. It is nice seeing her take a second to be self-aware after every mistake that she makes...which is different from the other seasons. It is also all very relatable. It was so adorable when she started mumbling and whispering to Dr. Akopian that she sees life as a competition and that she feels behind. What young adult doesn't!! And then when Dr. Akopian said that Rebecca WAS behind on life - I was just as offended as Rebecca that she would confirm her worst fears. But here's the thing - Rebecca isn't behind. Everyone has their own story, their own timeline. Heather found a career and a husband in one year! Rebecca will also solve her problems in time. As a business major, I was worried about that pretzel store. Rebecca did confirm in today's episode that it was unprofitable. Valencia and Heather are moving! This is a huge turn for the show. Usually, television shows do this during the series finale. But I can see that the show is slowly wrapping things up for all our characters. With Valencia and Heather being on the show less - I wonder which characters will come to the forefront! Paula's story line with her song was great! Now that's a huge turn-around - her son has matured and is no longer troubled. It's good that it happened but Paula isn't the one who brought about this change. I guess he just turned his life around by himself which is impressive. I've Always Never Believed In You: This song was exactly what a Broadway musical song parody should be. There are so many Broadway songs that are inspiring and say something along the lines of "I believe in you" or "I always knew you'd succeed". This song has that humorous twist that Paula didn't actually believe in him - but he is still succeeding. Also, let's never forget to mention that Donna Lynne Champlin is incredible. Her voice and singing on this song are AMAZING! The Group Mind Has Decided You're In Love: This song is just so much fun. I love the costumes and the set design. I like that it is a country song singing about two gay men being in love. This song was just silly in saying what all the fans are saying - Darryl and White Josh should get back together!! They love spending time with each other as seen in their binge watching of tv shows and movies. This episode introduced a new character as a love interest for White Josh. We all hope it won't last and he'll get back together with Darryl. We, as a fan collective, are this song.